The Benefits of Recycling Old Tyres Can be a Load of Rubbish! 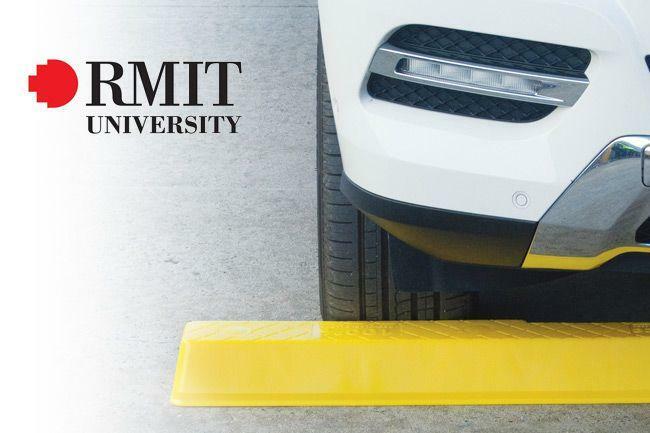 Local Geelong Company, Barrier Group, gets RMIT University’s Tick of Approval for the “Green Alternative” to rubber wheel stops – the Compliance One Piece Wheel Stop. A recent four month Life Cycle Assessment undertaken by RMIT University for Barrier Group (a Geelong Company) has shown the clear advantage of this product compared with wheel stops made from recycled rubber. The Compliance One Piece Wheel Stop is an innovation of Barrier Group – a Geelong manufacturing company with its own dedicated and active research department. Aim of the RMIT University/Barrier Group study: to undertake a comparison Life Cycle Assessment (LCA) study of the cradle-to-grave environmental impacts – including end-of-life disposal scenarios – for Barrier Group’s new high-tech Compliance One Piece Wheel Stop in comparison with wheel stops made from recycled rubber. 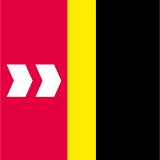 The study quantified and compared the life-cycle environmental impacts (including those related to manufacture, distribution, use and disposal) of Barrier Group’s Compliance One Piece Wheel Stop from injection-moulded linear low density polyethylene (LLDPE) compared with recycled rubber wheel stops – produced from reclaimed tyres and scrap rubber from a variety of sources and manufacturers. Definitive conclusions from RMIT University indicate that the Compliance One Piece Wheel Stop is a better alternative than re-cycled rubber. Barrier Group’s Compliance One Piece Wheel Stop has been found to be the Green alternative to Rubber (and indeed, by extrapolation, it has significant advantages over concrete and steel wheel stops). It won’t fade, rot, rust or crack. It has solid colours and is UV stabilised. It is extremely tough. Weighing only 4.5 kgs, the Compliance One Piece Wheel Stop is easy to install with fixings (4 fixing points) and blanking plugs included. Designed to comply with AS2890.1:2004 and manufactured from high-tech Linear Low Density Polyethylene (LLDPE) with sustainability in mind, the Compliance One Piece Wheel Stop has emerged as a winner! Barrier Group – a Geelong Manufacturing company – can provide creative and original solutions to complex problems. For further information and pricing contact Barrier Group on 1300 55 33 20 or send us an enquiry. Is Queuing Brewing as an Issue for Your Business?